During this unique program, you will learn about sea turtles while building your knowledge of marine biology fundamentals and ocean conservation. We have five species of sea turtles that migrate in the Atlantic Ocean off the coast of North Carolina— loggerhead, green, Kemp’s ridley, leatherback and occasionally the hawksbill. Over the course of your stay, you will spend time caring for sea turtles while working alongside the volunteers and interns of the Karen Beasley Sea Turtle Rescue and Rehabilitation Center. From preparing food to cleaning tanks, you will understand the enormous amount of time, effort and love poured into every turtle. You will get to share this newfound knowledge during a public outreach event. The goal is to one day return them to the sea after being nurtured back to health. While walking the beaches looking for nesting mothers, we’ll learn about nocturnal adaptations. We’ll also patrol in the mornings looking for fresh tracks. 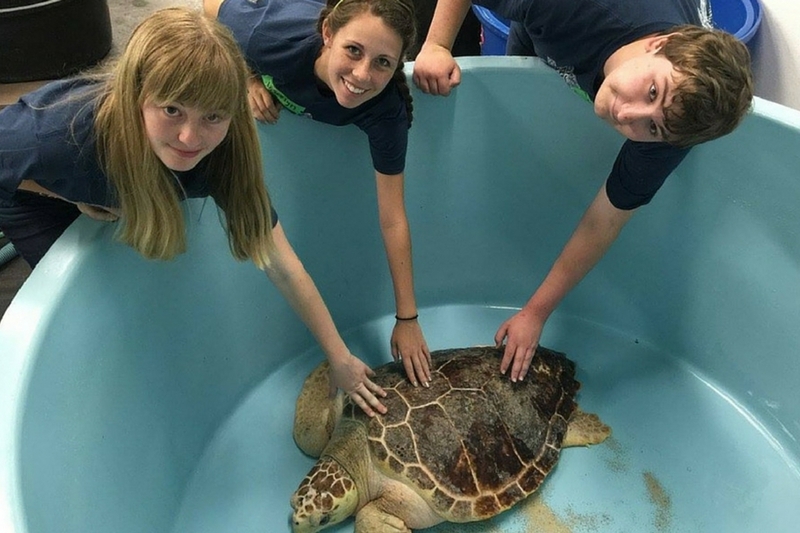 You will earn community service hours through your work at The Karen Beasley Sea Turtle Rescue and Rehabilitation Center, public outreach and beach sweeps. Trash, especially plastic, kills thousands of marine animals each year, forcing many of them towards extinction. Sea turtles are no exception and ingest or get caught in everything from fishing line to balloons. Sea turtles easily mistake plastic bags for sea jellies, their favorite food, which leads to malnutrition and potentially death. 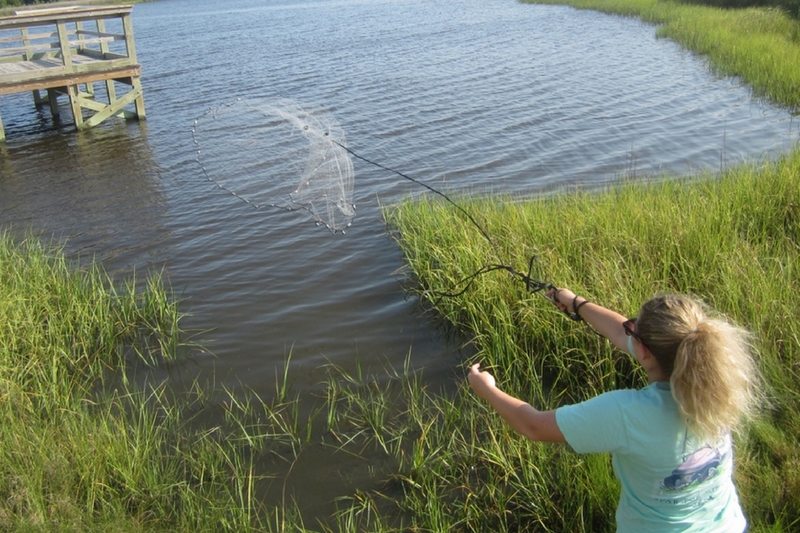 Each day we will explore different coastal habitats from maritime forests to salt marshes to the ocean’s edge. By understanding these ecosystems we will better appreciate the plight of the sea turtle. Since the Sea Turtle Stranding and Salvage Network began keeping records in 1986 the number of stranded turtles has more than doubled, indicating that these creatures are in desperate need of our support. Due to our commitment to personal instruction, we maintain a 4:1 camper to staff ratio. Each camp session is limited to 24 students which are broken down into two pods of 12 guaranteeing everyone has a high quality hands on experience. Camp tuition includes: lodging on Topsail Island, all meals from dinner on the first day to breakfast on the last day, 24-hour same-gender adult supervision, admission to all activities, all equipment, transportation including pickup and drop off from the Wilmington International Airport (ILM), Sea Turtle Hospital donation, community service certificate, Sea Turtle Camp t-shirt and memorable group photo. Campers are responsible for round trip airfare to ILM or transportation to Topsail Island and additional money for souvenirs. Coastal North Carolina is surrounded by rich marine ecosystems that countless aquatic species call home. From the expansive Atlantic Ocean, with its miles of white sand beaches on barrier islands to the fluctuating and dynamic salt marsh habitats, Sea Turtle Camp gives you the opportunity to explore and study these amazing ecosystems in depth. We strive to provide teenagers with the opportunity to learn more about marine biology and conservation through hands-on, feet-wet experiential educational. 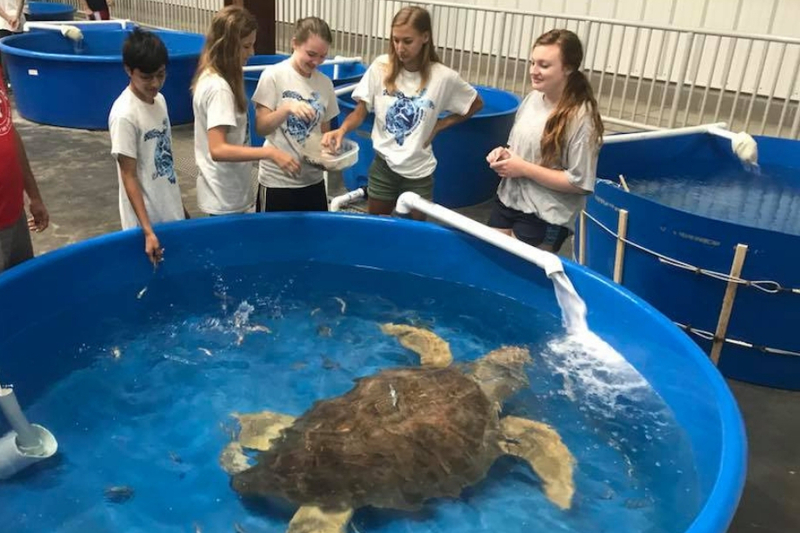 Campers get the extraordinary opportunity to work with live sea turtles as well as participate in some amazing daily activities designed to teach them through experience instead of out of a textbook. Campers arrive! Counselors will pick up campers flying in at the ILM airport between 1-2pm and parents driving will check in and drop off 2-3pm. 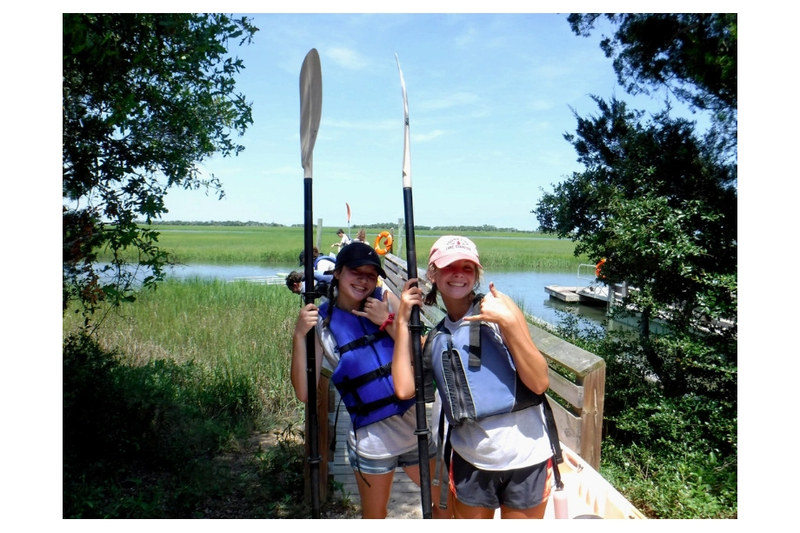 Your arrival to the beautiful North Carolina coast is met with the anticipation and excitement of your fellow campers. Now you will have the opportunity to see and interact with real live sea turtles! Not only will you be working with and learning from them, but you will be aiding in the rehabilitation and release of one of the oldest living creatures on the planet. At orientation, all camper rules and the schedule for the week will be explained by your counselors, who are equally excited. Then it’s off to dinner and evening activities where we will spend time getting to know each other. Afterwards, we’ll head back to the bunks because those sea turtles are going to be hungry in the morning, so we have to make sure we’re there on time and well rested to prepare their breakfast! After breakfast, we’ll head straight to work at the Sea Turtle Hospital, where you have the opportunity to be volunteers at their 10,000 square foot facility, with rooms dedicated to husbandry, surgery, and public education. Don’t forget that this is a hospital; everyone here treats it as such, so while mesmerized, keep in mind that the work here is serious. After lunch we get out and explore the salt marshes of coastal North Carolina. These are the vital nurseries and filters for the greater ocean, and equally important to sea turtles. Many juvenile species of marine life grow up here and filter feeders work diligently to remove pollutants from our ecosystem. Then campers will have a chance to observe specimens under microscopes! Dinner will be at the salt and light center and is followed by a walk on the pier and another marine science hands-on activity. Nest patrol early this morning to check for sea turtle nests or tracks! After that we’ll head to Wrightsville Beach for a SUP lesson and enjoy some Surf Berry, yummm. Following the tides, we’ll travel south to Kure Beach to the only naturally occurring inter-tidal ecosystem in North Carolina – the coquina outcrop. This ancient sandstone reef extends out from the beach and is home to specific marine species like sea liver, sea anemones, stone crabs, and who knows what else?! It’s a fun area to explore on our way to the Fort Fisher Aquarium. 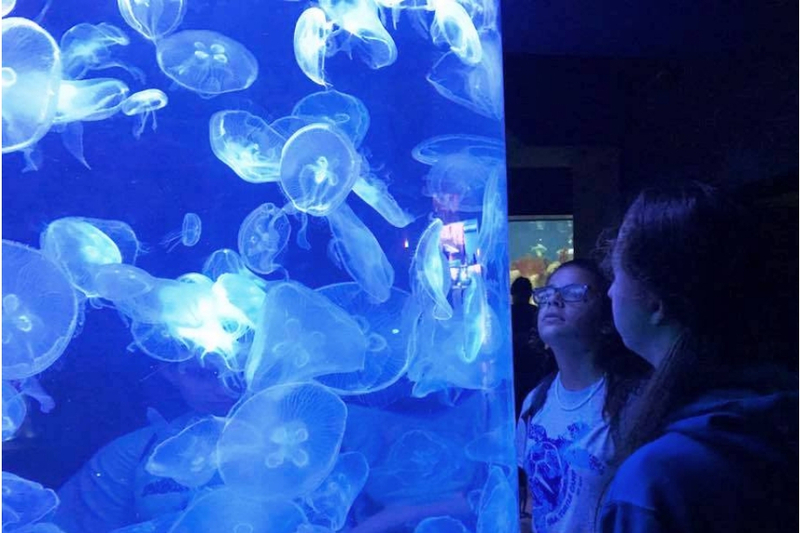 At the aquarium we’ll follow the flow of water from the freshwater ecosystems of southeastern North Carolina all the way out to our limestone reefs. 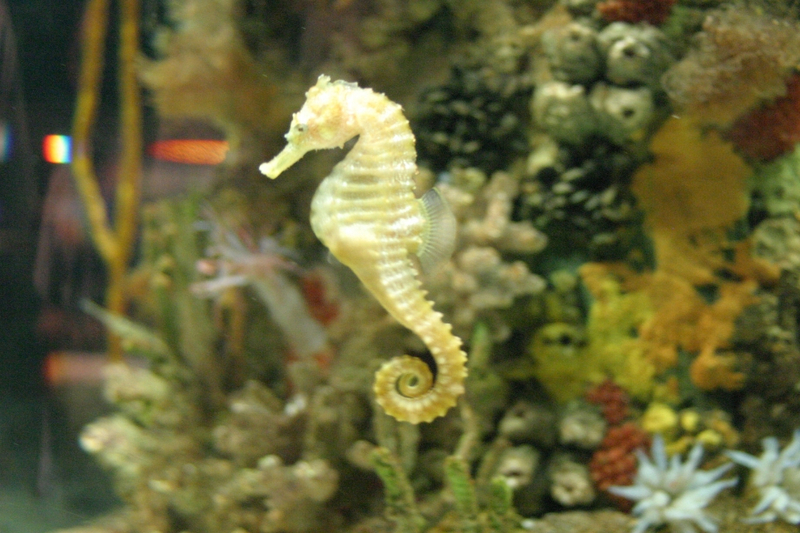 We not only get to explore each of these exhibits but get to go behind the scenes of the aquarium and feed the fish. Next is a ranger-lead tour at Fort Fisher State Recreation Area! After a full day of marine adventure we will refuel, and then it’s back time to relax and reflect on the day before another early morning at the hospital. Another morning with the turtles…One of the greatest aspects of Sea Turtle Camp is that by doing what you love, you are giving back by participating in community service. During your time at the hospital you will learn feeding habits, nutrition, cleaning, water filtration and much more – while discovering the unique personality of each sea turtle. 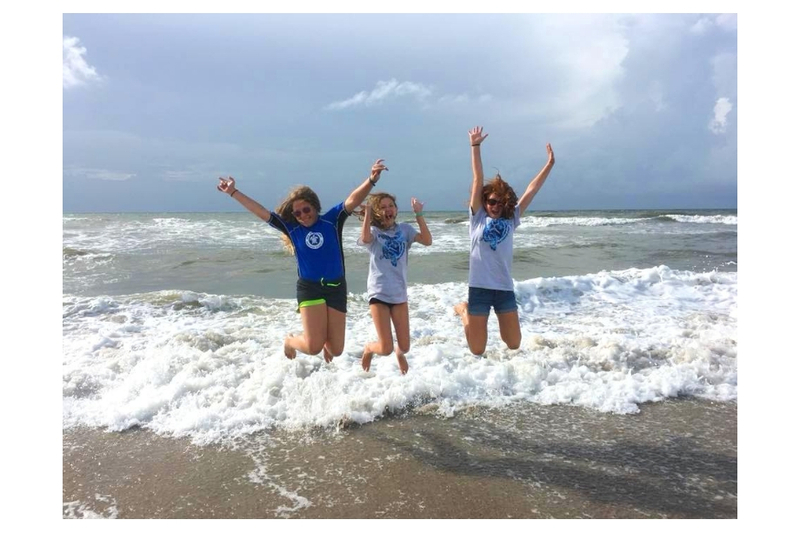 Another way we give back is through daily beach sweeps to inspire others to keep our oceans free of life threatening trash and plastics. ! After lunch, we will make our way to Wilmington for some water quality sampling at a local lake and learn about Eutrophication. Maybe even get a chance to ride the paddleboats and see an alligator! We will head to UNCW for a tour and to go into a lecture hall. We’ll meet a very special friend of Sea Turtle Camp, who has been out in the gyres documenting the accumulation of plastics and their harmful effects. She is a professor at UNCW and founder of Plastic Ocean Project. This human-based problem changes how you see the world and inspires you in to action. Prepare for a long night, because after dinner we search for nesting mothers, while enjoying the bioluminescence that sparkles along the shoreline. The alarm sounds early on your final full day, but it’s a big day. We rise early to participate in a morning nest patrol, with the potential to witness one of the coolest sights for a sea turtle lover – fresh tracks in otherwise unmarked sand. A fresh turtle crawl! Mother sea turtles come lumbering out of the sea at night, lay their eggs in a trance, and then work their way back to the sea. Our search is followed by another morning of duties at the hospital. Squid dissections are to follow! After lunch, we will head to Wrightsville Beach to explore the fouling community and go seine netting in the salt marsh. Here you will learn about the brackish water community and inter-tidal zones, then make our way to the beach to do hands-on lessons about beach ecology. The Thursday night luau is what everyone has been waiting for! Grab your lei, burger, and listen to some ukulele playing. We’ll hangout by the campfire discussing how much fun we had this week and what we learned along the way. After everyone retires their leis, it’s time to pack up and clean up. This morning well have a laid back breakfast, then it’s back to the bunks for the final packing and cleaning duties. After exchanging phone numbers and email addresses you say goodbye to all of your new found friends until you meet again next year to care for the new batch of patients at the hospital!Check out is between 1230-130 and campers flying out depart between 1-2pm. Campers will be housed in fully furnished retreat center with an ocean view and beach access just a few feet away! This is an ideal location, as we will only be steps from our outdoor classroom. Students will see the sun rise over the ocean during morning nest patrols. Campers will not only enjoy the breathtaking sunsets from the decks of the Retreat Center, but also private beach access, campfires and outdoor activities such as volleyball, corn hole, spikeball, basketball and much more. 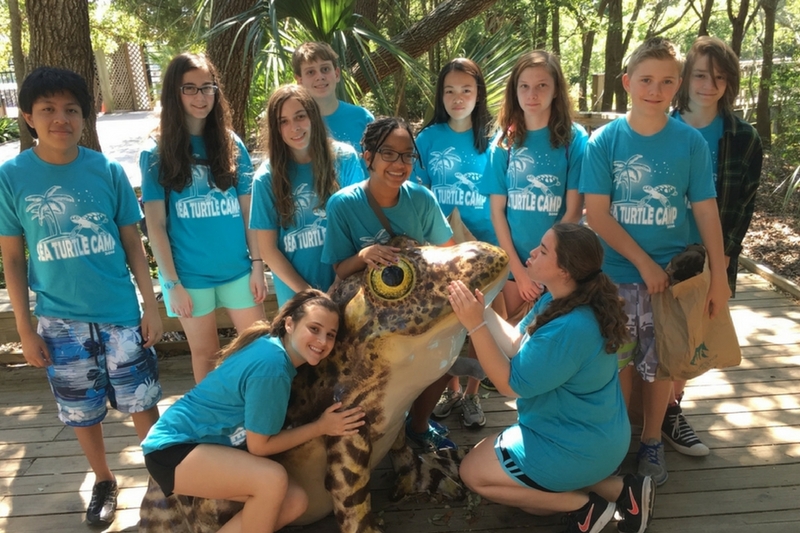 At Sea Turtle Camp service is the most rewarding part of our program, and we like to think of it as service learning. Everything we do at the Karen Beasley Sea Turtle Rescue and Rehabilitation Center, from working directly with live sea turtles, cleaning, and feeding sounds more like enjoyment than service, but it is. We also participate in a beach sweep. While most participants come alone, you are welcome to come with a friend. Please indicate in the enrollment that you would like to room together. Roommates are grouped together by age in order to enhance the overall level of comfort. There are 5 campers and 1 counselor to each bunk. We accept checks, money orders, or VISA/MC/AMEX credit cards. All credit card payments are processed online using a secure server. There is a $50 service charge for all returned checks. With the exception of the deposit, a 3% credit card surcharge will be assessed to all payments made by credit card. Please review our cancellation policy. Deposits are not refundable after teacher references are received and the camper has been accepted into a program. Please contact our Program Coordinator to discuss arrivals and departures outside of our preferred times. In order to avoid missing any planned activities, participants should try to arrive between 1 – 2 pm on the first day and depart around 1 – 2pm on the last day of camp. Occasionally the airlines will misplace luggage or your suitcases will miss connecting flights. We recommend keeping essentials, such as medications, toiletries, bathing suit, and extra change of clothes, in their carry-on luggage just in case. We also recommend purchasing trip insurance when you select your flight. 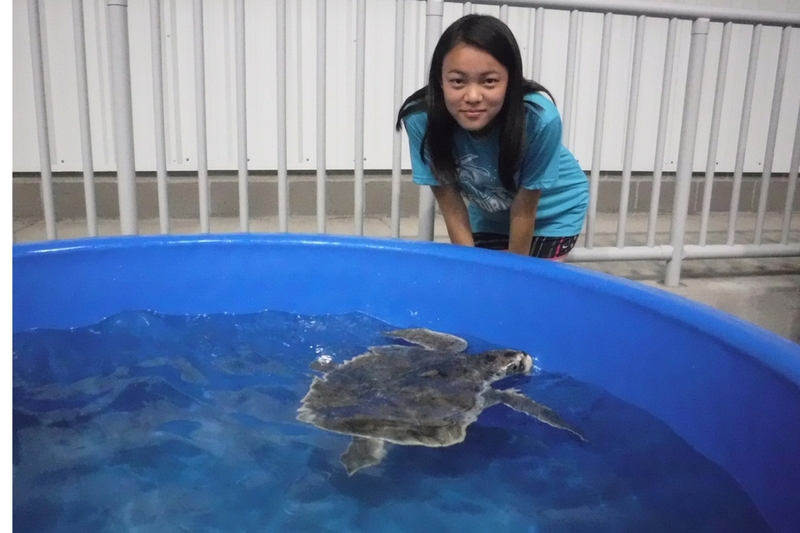 Sea Turtle Camp is an extremely high quality program, with limited space. Therefore, once your student has been accepted into the program, exceptions to this policy cannot be made for any reason, including weather or personal emergencies. Please review the terms of our cancellation policy. In order to enroll in camp you must agree to these terms. We carry a comprehensive insurance package, including general liability. Once again, purchasing travel insurance is encouraged. 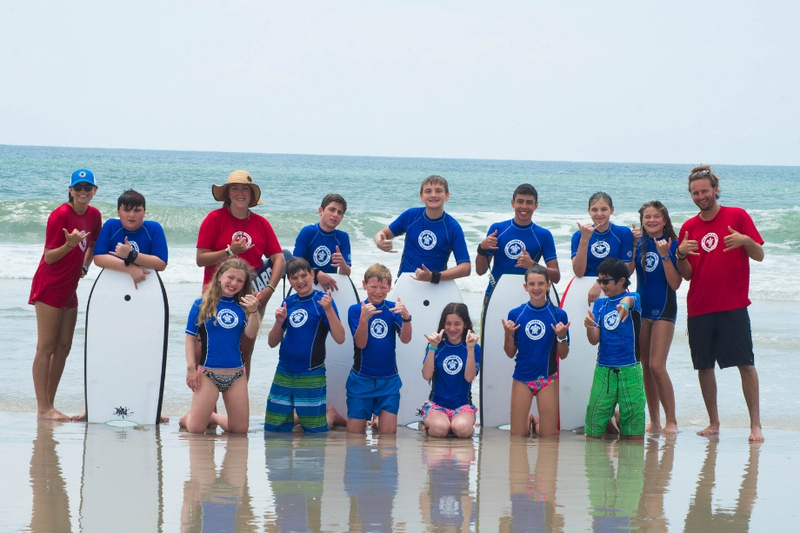 We offer a handful of scholarships for our Marine Biology Adventure and Immersion programs. Look under the Financial tab for more information and the application requirements.